Flowers are a favorite and a runner full of flowers..... Perfect! 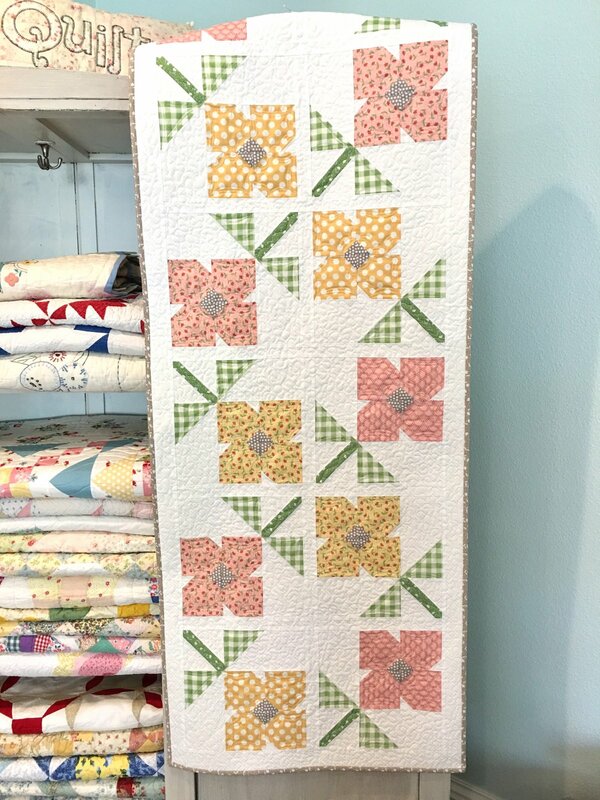 These flower blocks are so fun to put together. Add a little sunshine to your table, buffet, island, end of your bed, the possibilities are endless. All fabrics included in the kit are quality Moda fabrics from the Farmer's Daughter line by Lella Boutique. The kit includes the fabrics needed for the top, binding and backing. you will need the Tablerunner Bliss book by Sherri Falls.